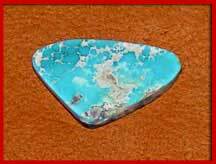 Manassa turquoise is mined at Manassa in south central Colorado. 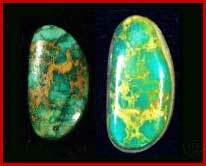 It is known for its blue-green to green color with a golden or brown, non-webbed matrix. 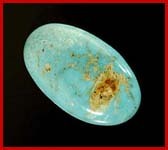 The Manassa mine is still in production, and owned by the King family, thus the alternate name sometimes used for this turquoise. The current owner of the Manassa Mine is Bill King. Bill is a wonderful stone cutter and was a wonderful miner. These days he is sticking more to cutting stone and having it made into jewelry. The mining at Manassa at this time is at a stand still. The Manassa mine used to be call the Lickskillet Mine in the old days. 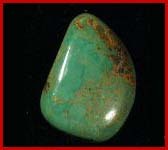 This stone is one of our favorite, the beautiful green color is VERY striking, excellent when used in gold.